Selwyn Toogood, quiz-master and broadcasting pioneer who successfully made the leap from radio to television, was Wellington born and bred, the second of four sons. As Colin Hogg wrote upon his death in 2001, Toogood "loomed across broadcasting with an almost inappropriately large charisma. Though it was always the charisma of a man getting the job done." In his autobiography Out of the Bag, Toogood wrote that English and History "were the only bright spots in my grim scholastic world". He left school directly for a warehouse job, where he earnt five shillings a week. Toogood had acted in one or two plays at high school. Now he filled his weekends with amateur drama. In 1937 he got a role on New Zealand's first radio soap, One Man's Family, which ran for 18 months, "until the sponsor ran out of money". He also left his warehouse job to train as a theatre manager, quickly getting into hot water for accidentally arranging an uncensored screening of Sacha Guitry's "somewhat risque" feature The Cheat. With the outbreak of WWII, Toogood joined the army. Promoted to captain - in Toogood's opinion, partly thanks to his height - and inspired by impressive results on an officers' course, he grew in confidence. Toogood became an Ammunition Officer, helping organise ammunition for the Battle of El Alamein, and transport in Italy. It was as Entertainments Officer on a troop ship that Toogood, in a state of desperation, ran his first quiz show. He was running out of options to keep the packed ship entertained. Then the ship's barber suggested a quiz, to make use of some tankards he happened to have picked up. After the war, Toogood picked up where he had left off as a stage actor, voiceover artist and radio announcer. In 1947 he and a colleague at staton 2ZB managed to trump other media with live coverage of the passenger ship Wanganella's stranding, at the entrance to Wellngton Harbour. Toogood had made his screen debut before the war, donning women's clothing in little known short Oh! Mr Gadd. Now he began working in various roles for Robert Steele's commercials company Neuline Films, and providing voiceovers for many shorts made by the National Film Unit. Toogood reckoned his voice was heard on roughly 150 of , including classic docos Railway Worker (1948) and The Coaster (1950). For the later film Toogood did two extended takes of Denis Glover's poetry-laced script; the first was deemed the winner. The following decade he would present the NFU's magazine style show These New Zealanders for television, and quiz show The Family Game. But it was thanks to radio quizzes that Toogood became a household name. The first was Posers, Penalties and Profits. Then, when his main rival Jack Maybury headed for Australia, Maybury suggested Toogood take over the popular Quiz Kids and Money Go Round programmes. Toogood worked on the shows during his 17-year spell as radio director for Lintas, part of the Lever soap empire. The show which made him famous was It's in The Bag, based on Australian hit Pick-A-Box. First broadcast on Radio New Zealand on New Year's Day 1954, It's in the Bag was initially recorded in Auckland. Then it took to the road across New Zealand. Local community groups and charities would provide a venue and afternoon tea, and collect the door charge. The show gave ordinary people a brief moment in the limelight, and the chance to answer three simple questions, then choose whether to take the money, or gamble on a potentially bigger prize. Late broadcaster Peter Harcourt said of the show: "It was literally true that on the night Selwyn was doing It's in the Bag cinemas virtually closed their doors because it wasn't worth opening." It's in the Bag stayed on the radio waves until 1964, when the rise of television had began to eat away at radio audiences. From 1973 to 1979 Toogood offered the money or the bag on television, after campaigning for a number of years to get it on TV. The on-screen version "was essentially the same" as the radio version, with few visual gimmicks. Toogood felt that the gambling element, and the way the show showcased the ordinary New Zealander, were key elements in keeping it so often in the top six in the ratings. It's in the Bag toured most of New Zealand, and some of our overseas army bases as well, before an emotional finale in Dunedin on May 8 1979. Toogood estimated that over the years he researched and wrote around 30,000 quiz questions. Apparently seeing the public relations value of flying Television One's flag in rural areas, programme controller Des Monaghan encouraged him to come up with another TV format that could tour New Zealand; but Toogood couldn't think of anything "as good as the Bag." As a spin-off from the travel section of It's in the Bag, he escorted 100s of New Zealanders on tours to the Coronation Street set, one of the only organised groups allowed access to the cast and studios. Toogood's autobiography Out of the Bag, was published in 1979, though he was far from ready to retire. From 1976 to 1985 he was longtime presenter for Beauty and the Beast, a daily problem-solving chat show whose revolving team of four women panelists included artist Shona McFarlane, future Governor-General Catherine Tizard, and broadcaster Catherine Saunders. "He was a very clever broadcaster," said Saunders, "animated, provocative and absolutely on top of everything." Toogood also hosted children's quiz show The W Three Show, taking over from Lockwood Smith. 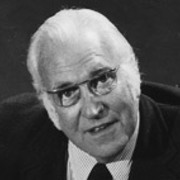 In 1994 he presented nostalgia documentary Toogood Tales, which featured clips from some of the many of the National Film Unit shorts that Toogood had narrated. He was awarded a special lifetime achievement award by the Academy of Film and Television Arts in New Zealand in 1999. Toogood married Cynthia Webb in 1948 and the couple had two sons, Kit and Phillip. Kit later talked in detail about his father with Brian Edwards, on an episode of interview show Sons and Daughters. Selwyn Toogood passed away on February 27, 2001.